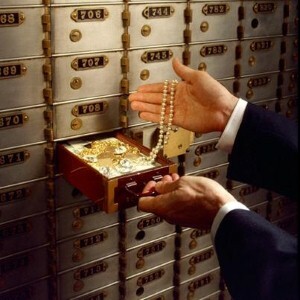 Rules governing access to safe deposit boxes and money held in accounts are written into the charter of each bank. The charter is the statement of policy under which the bank is allowed by the government to do business. These rules are subject to change at any time by faceless bureaucrats who are answerable to no one. They can be changed without notice, without the agreement of the people, and against their will. People can complain but no one will care because this is small potatoes compared to the complaints that will be voiced when the executive order that governs national emergencies is enforced. During the Great Depression in the early 1930’s people thought that many banks were going to fail. They were afraid they would lose their money so they went in mass to take it out, in what is known as a run on the banks. The government closed the banks to protect them from angry depositors who wanted their money back. Throughout history, governments have acted to protect the interests of banks and the wealthy people who own them, not the interests of depositors or box holders. Would it be more better to keep the security safe at home instead to have a locker in bank? I often confuse which option i select from both.